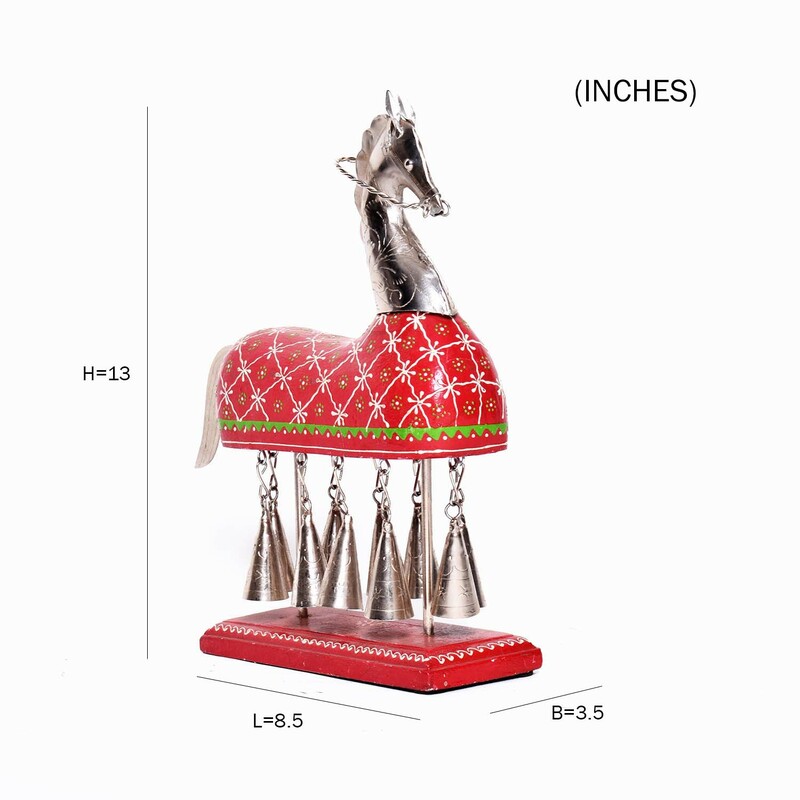 This Metal Hanging Bell Horse with Embossed Work works the familiar silhouette of a horse into something much more aesthetically interesting home décor wise by Read More..using hanging bells for the limbs of the animal. 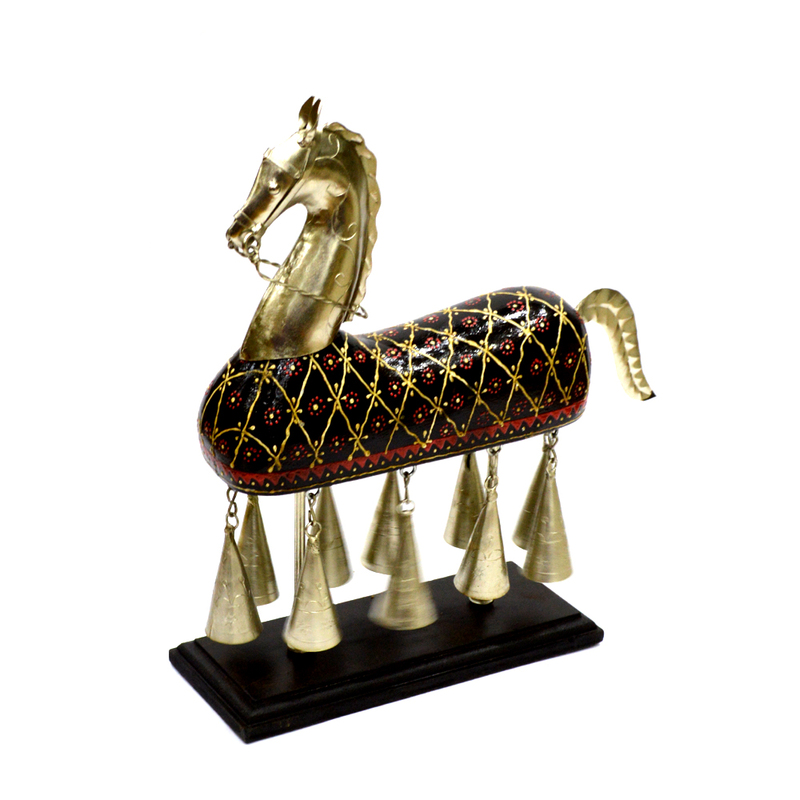 This is in addition to the truly inspirational design work present on its metallic body, which is bound to make it the cynosure of all eyes. 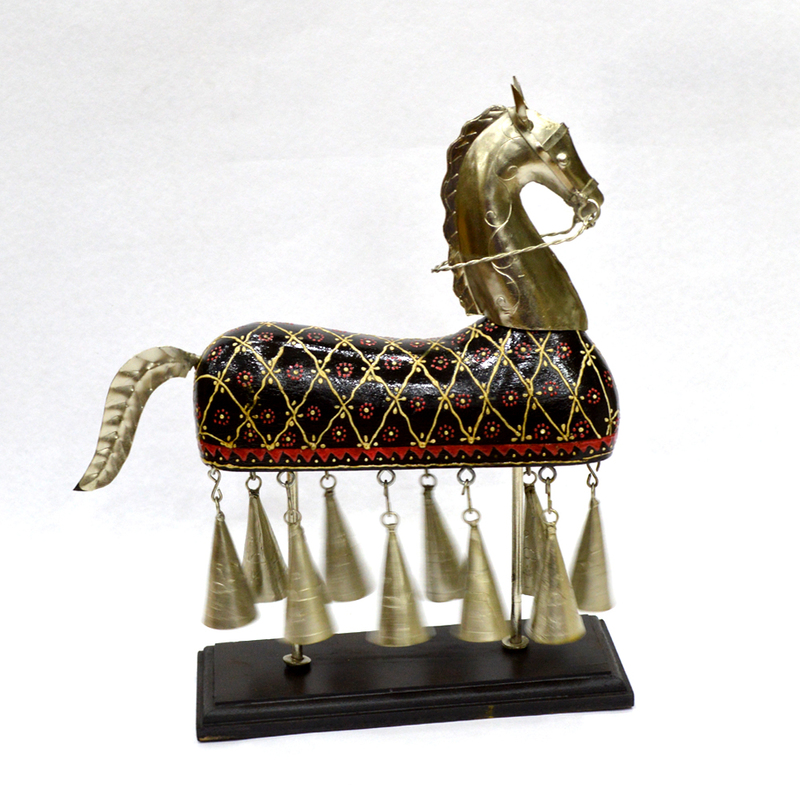 Give your home décor a fresh spin by allowing this incredibly beautiful and appealing decorative piece to grace your home interiors. Show Less..